PQP lists are maintained by John Scudder. Please direct all PQP queries to him at pqp@abf.com.au. The 2019 PQP year for the 2020 Playoffs begins with the 2018 Spring Nationals and ends with the 2019 Hans Rosendorff Women’s Swiss Pairs. 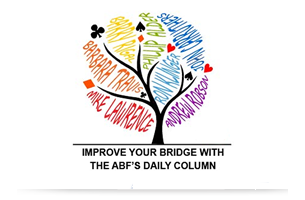 Ages to enter Australian Senior events are based on World Bridge Federation age requirements with some downward adjustments to allow for the timing of Australian team selection for future events. Over the period from 2018 to 2026, the minimum age for WBF Seniors’ events is increasing from turning 60 in the year of the event, to turning 65. This starts with an increase to minimum age 61, for WBF events in 2018. After that, the WBF’s minimum age will increase by one year every second calendar year. Due to the late advice from the WBF, the ABF is leaving age requirements unchanged to enter ABF Senior events in the period October 2017 to February 2018, but players born on or after 1 January 1959 will not be eligible to receive 2017/18 PQPs in these events. To enter ABF Senior events during the remainder of the 2017/18 PQP Year (i.e. between March 2018 and September 2018), a player must have been born on or before 31 December 1958. To enter ABF Senior events during the following PQP Year (i.e. between October 2018 and September 2019), a player must still have been born on or before 31 December 1958. For events leading to the playoffs to select the Australian team for the 2021 and 2022 World Championships (i.e. for the two PQP years starting from the Spring Nationals in 2019) players must be born before 1 January 1960. For events leading to the playoffs to select the Australian team for the 2023 and 2024 World Championships players must be born before 1 January 1961. For events leading to the playoffs to select the Australian team for the 2025 and 2026 World Championships players must be born before 1 January 1962. Thereafter, players must turn at least 65 in the year of the World Championships in which they are competing. All PQPs won in open events may be used towards qualification for the women’s or seniors’ playoffs by players who are eligible and are members of the Women’s or Seniors’ Panels. Players with Open PQPs who meet the age requirement may request addition to the Seniors’ Panel and transfer of their Open Points. Similarly, Women with Open PQPs may request addition to the Women’s Panel and transfer of their Open Points. Please email the PQP Compiler at pqp@abf.com.au if you wish your points to be transferred and are not already on the Seniors and/or the Women’s panel. For prior standings, go to the Archives page. The primary purpose of Playoff Qualifying Points (PQP) is to select the Australian team via the playoffs. To be eligible for the playoffs each player must have at least 1 PQP. Those players who amass a greater number of PQP are advantaged by playing in Division 1 (unless numbers do not allow for 2 divisions). This gives those teams a second chance to qualify for the final. Relativity with other events and rebalance of awards due to increased number of events and PQP Inflation.